Today (28th February) marks the 100th anniversary of the death of John Firth Fryer, Bootham’s headmaster between 1875 and 1899. He started as a pupil at the school in 1854, and apart from a year at the Flounders Institute at Ackworth training to become a teacher, he remained at the school until his retirement in 1899. During his headship, he oversaw changes including teaching becoming departmentalised, permission being granted by the committee for the hire of a piano for practice during leisure time (which rapidly became the purchase of two pianos, hymn singing on Sunday evenings and the introduction of concerts), and the end of earlier customs such as no plates at breakfast or tea. Unfortunately his headship finished with the fire in 1899 which destroyed much of the school. The poor ball gets no rest! Now here, now there, the ball is sped. An then its hopes are all but fled. The strange vicissitudes of life. Beneath the reign of universal Peace. It’s really good to hear about the West Bank Park Heritage Project (http://www.yorkpress.co.uk/NEWS/11029965.Heritage_centre_and_community_cafe_plan_for_York_park/?ref=rss), particularly as the Backhouse family had Bootham connections. 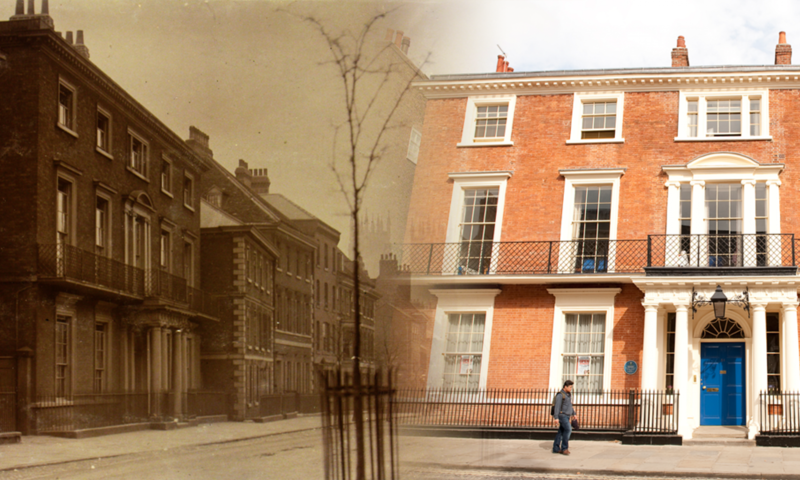 The James Backhouse who first set up the nursery sent his son, also called James Backhouse, to York Friends Boys School in Lawrence Street between 1834 and 1841 (the school in Lawrence Street moved to Bootham in 1846, and later became known as Bootham School). The younger James Backhouse sent his sons, James and William, to Bootham (James between 1874 and 1878, and William between 1876 and 1880). Photograph: James Backhouse, born 1825, at York Friends Boys School 1834-41. Good luck to the West Bank Park Heritage Project! James Backhouse’s obituary is contained in ‘Bootham’ magazine, Vol I, p280-284. The photograph is taken from an album presented in Silvanus Thompson in 1874, held in Bootham School Archives. Inspired by the Winter Olympics and the dusting of snow at home this morning (now replaced by lots of rain), I had a look through the photograph scrapbooks and found these two photographs of the Junior House outing to go sledging at Terrington in 1981.